OMG Posters! 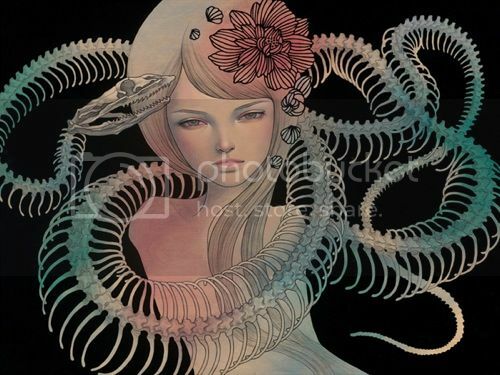 » Archive "You Come First" Art Print by Audrey Kawasaki (Onsale Info) - OMG Posters! As part of their new show, NYC’s Jonathan Levine Gallery will be selling a new Audrey Kawasaki art print this weekend. “You Come First” is a giclee with an edition of 150. It will be available in person at the gallery on Saturday, September 8th at 1pm. Good luck! ISO! I love this. Wish I had a connection in NYC. I’m going to the show but I’ve never been good at waiting in lines so I’ll probably pass up this print. Excited to see Jeff Soto in the other room. That’s not what the print looks like. Indeed, it is not the print. Both look great though. Been fiending for a new Kawasaki print too. so what is the print then?